Inspired by a combination of historic Vietnamese architecture and ancient feng shui philosophy, the luxurious resort of Four Seasons Nam Hai is set in 35 hectares of pristine grounds, amidst beautiful exotic gardens and powdery beaches. In the heart of culturally rich Hoi An, you’re in the perfect place to discover the remarkable food, culture and lifestyle of the locals, whilst staying in ultimate luxury. Situated just a short drive from Hoi An, in the heart of Vietnam’s Dien Ban district in Quang Nam province, the resort looks out over the South China sea with crystal clear waters and soft golden sands. In this vibrant district you’ll have unique world heritage sites with Buddhist Pagodas, royal tombs and historic citadels at your fingertips. The nearest airport is Da Nang, which is just a short 30 minute car transfer away. 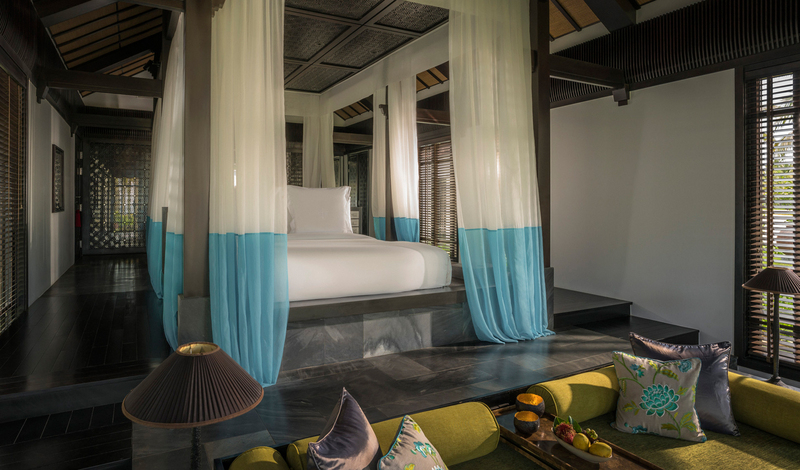 Spread over 35 hectares of tropical gardens and pristine white sands, the colossal Four Seasons Nam Hai boasts 60 one bedroom villas and 40 pool villas, which range from either two or five bedrooms. 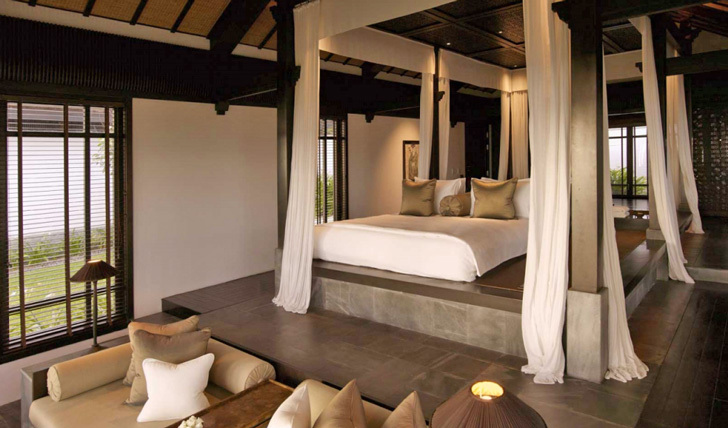 Inspired by feng shui and traditional Vietnamese garden houses, the 100 villas are visually striking both inside and out – all are luxuriously decorated with high ceilings, delicate hand-spun silks and polished woods, along with lavish interiors, a private tropical garden and outdoor rain shower. Pool Villas come complete with a temperature controlled swimming pool, fully equipped kitchen and your very own butler for an extra touch of luxury. Four Seasons Nam Hai itself is pure indulgence – from sumptuous beach cabana beds to beautiful lotus ponds, luxurious interiors and an incredible spa, the resort captures the finest aspects of Southern Asia. With a mouth-watering menu for you to feast on, learn the ways of Vietnamese cuisine with a private cooking lesson from the resort’s head chef, or dive into the local culture – explore Hoi An on a river cruise, tour a water coconut plantation or even spend the day in a life of a fisherman.